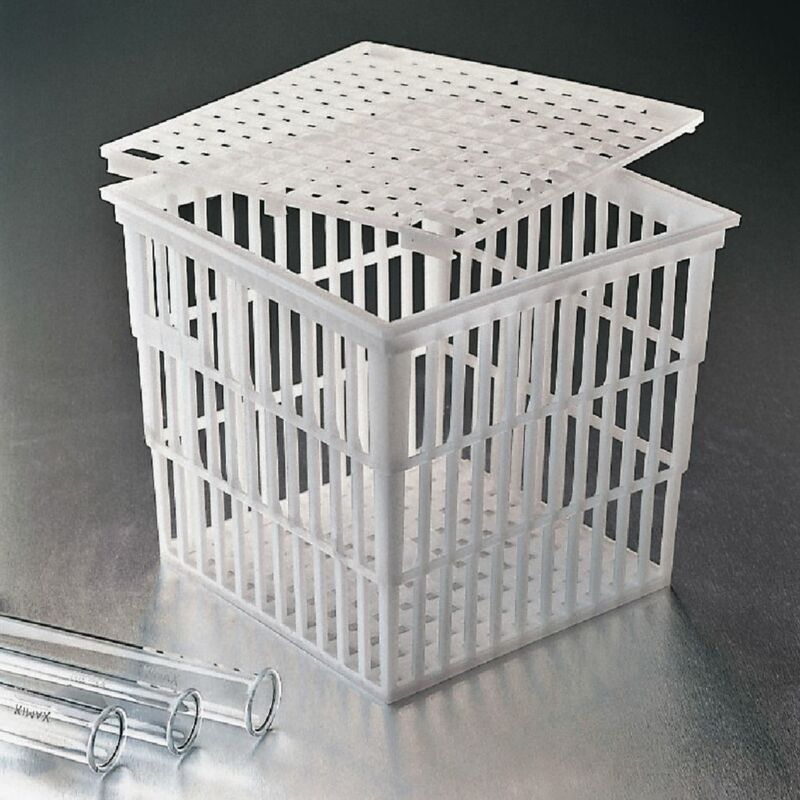 This corrosion-proof polypropylene basket is ideal for rinsing glassware — simply slide the lid on, rinse, and invert for easy draining. 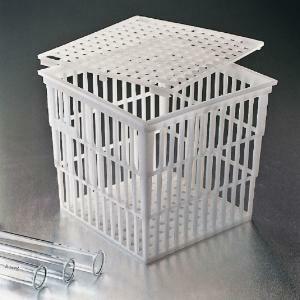 The basket holds test tubes for storage, sterilization, or incubation. Autoclavable to 121°C. Size: 17 x 17 x 16cm.